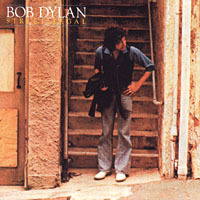 This first album after Dylan's 1977 divorce from Sara both reflects a lot of related sad emotions and delivers great music: "Señor (Tales of Yankee power)" and "Changing Of The Guards". In 1999 this album was re-released in an absolutely great sounding remixed and remastered version. It's the first Dylan album to be newly remixed from its original tapes.